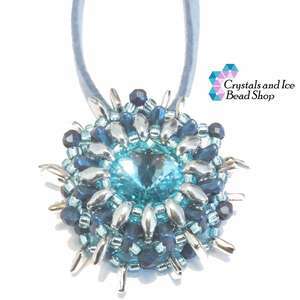 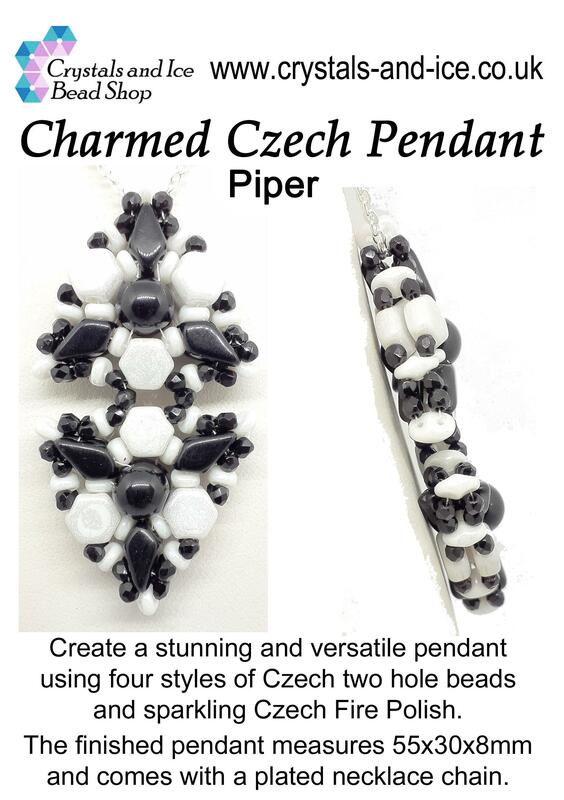 Create a stunning and versatile pendant using four different styles of Czech two hole beads, enhanced with sparkling Czech Fire Polish. 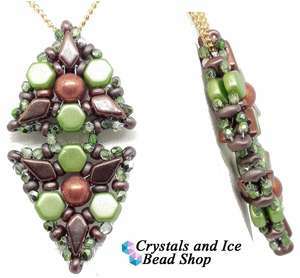 Available in 5 different colourways as a kit, and also as a PDF downloadable pattern. 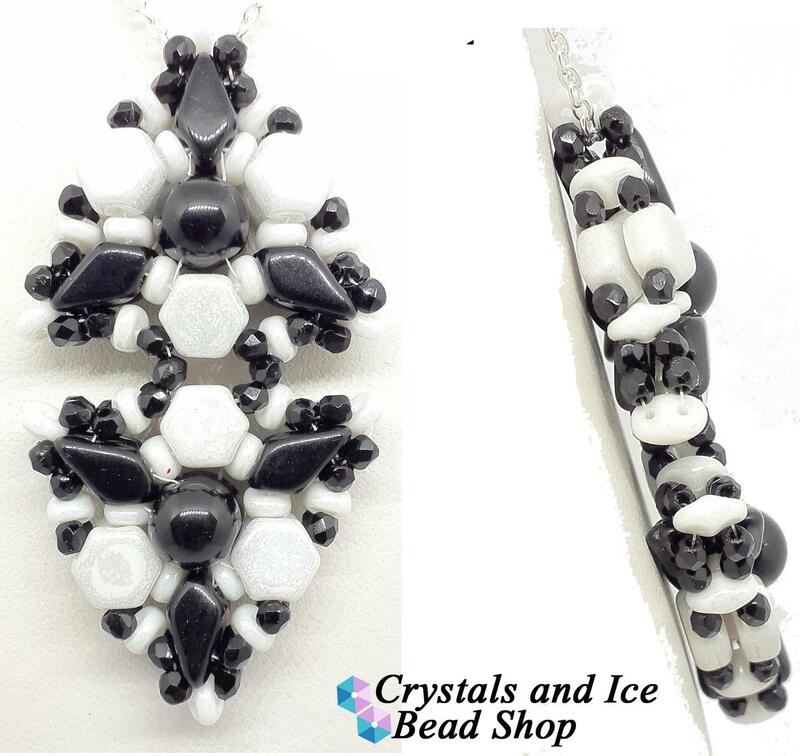 The finished pendant measures 55x30x8mm, and comes with a plated necklace chain, as well as detailed written instructions, and over 50 full colour photos.